Confeitaria Nacional is a pastry shop in business since 1829 at downtown Lisbon. For a view of the shop click here. This is my contribution to the CDP December Theme Day: "Shop Window". Love the texture and color combination of this window scene! 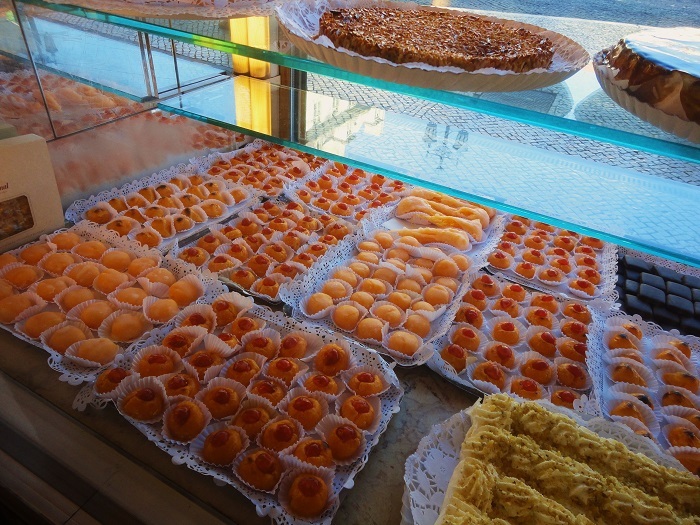 All the wonderful Portuguese pastries....I so miss them! I discovered a shoebox-sized Portuguese pastry shop some time ago in Vienna. I hope to return there soon! It would be difficult to pass by this shop! What an utterly tempting display! Yummy choice for the theme, José ! That's an enticing shop window! Beautiful. I can see why they are still in business after all these years. Oh my! Did you have to Jose :) Definitely the most delicious window so far! My husband and I had some amazing pastries when we were in Lisbon in September. Simply Delicious. Oh, Yummy indeed!! Great shots for the day -- as always!! I hope your week is going well, Jose!! Enjoy!! Gorgeous! This is the most appetizing picture, this month. Like! How divine all those cakes look!!!! !